and to the magnetic coins of the EU and over 60 other countries too. 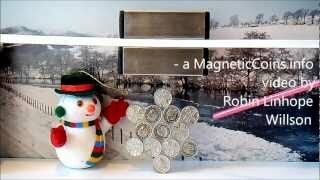 Our magnificent Jubilee magnetic coins in danger - another UK missed opportunity? 2012 Jubilee year and Olympic year! The country and the Royal Mint celebrated. But how many will remember 2012 as the year a valuable UK based, easily accessible educational resource was greatly enhanced? 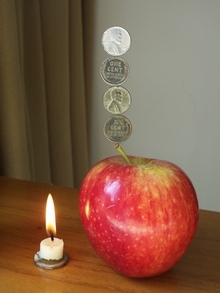 Magnetic nickel-plated steel 5p and 10 p coins came into circulation joining the copper-plated magnetic 1p and 2p coins in circulation since 1992. From Patagonia to Paris, from New Zealand to Newcastle, children and adults alike have begun to be amazed by the creative and mind stimulating things that can be done with the coins due to their particular diameters and colouring. Senior scientists and engineers have admired how well the power and nature of magnetic fields can be demonstrated. 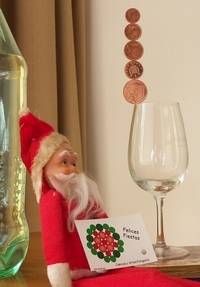 As the year ends and the festive season approaches, the Magic Penny Trust, a UK registered educational charity, feels it is not too late to celebrate 20 years of UK magnetic coins . It is releasing a series of photographs of the coins illustrating the creative and educational opportunities for investigation, experimentation, creativity and enjoyment. It hopes that teachers and those involved with promoting mathematics and science will take note and move on from the days of bar magnets, iron filings and paper clips. 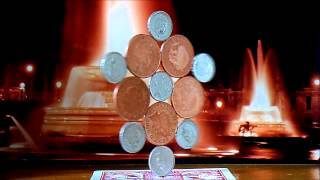 For the study of magnetic fields and the mathematics of regular and random packing, real magnetic coins or discs have enormous potential. An informed review of the way these subjects are introduced in schools is long overdue. Increasingly, other countries are also cost-cutting and changing to steel-plated coins. But some notably the US, Australia and Chile have still not done so. At a recent meeting at the Royal Institution several overseas scientists wanted to know how they could obtain the new UK coins in their own countries. The Royal Mint has been informed of the potential international demand for packs of mint magnetic coins for education and enjoyment similar to those presently readily available for collectors. Let´s hope that before the demise of the present 1p and 2p coins this can be achieved. Hopefully too, when designing new coins not only will their artistic and heritage value be considered, but also their potential science educational value. Particular attention might be given to their relative diameters so that even more mathematically perfect coin roses can be made by all. 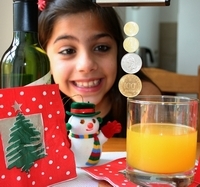 Magic Penny Trust (www.magicpenny.org) December 2012.